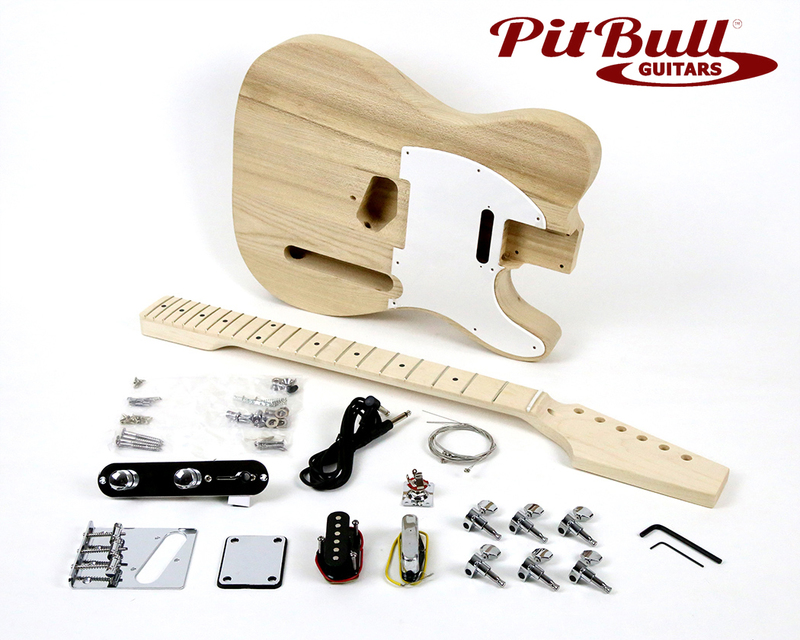 This kit features a beautifully figured Ash body, perfect for transparent finishes. Two single coil pick-ups, with the bridge pick-up offset, provide the TLA-1 with an amazing tonal range for the price. Finished with elegant chrome hardware, this guitar can look as good as it sounds. Take your time and care when painting and assembling this guitar and you’ll have a reliable, awesome sounding workhorse the envy of your guitar playing buddies. superb build and a lot of fun doing so. Plays fantastic and sounds the business . The standard hardware that came with the kit was very impressive. How they do it for this price I don’t know. I have built two Teles so far and in my opinion the TLA-1 with it’s ash body sounds much more the superior of the two. It’s a great kit that is just so easy to put together and get the action dialed in. The wiring comes basically pre-assembled, so just a couple of solder joins and you are ready to play. The maple neck and fret board looks great and plays amazingly (maple fretboards are definitely my favourite). Just one note would be that my kit came with a bigger route in the neck position than that pictured. No problem if you are using the pickguard (as I did) but it’s worth mentioning. I would definitely recommend this kit most highly! This was a great kit. The maple neck was nicely made and the frets needed little work. The body is heavy and the guitar has good tone. I replaced the bridge, pickups and scratch plate, but the stock bits look fine too. Usual Pitbull good value!! !